Visit.brussels Awards: the Smurf Experience has been nominated! the visit.brussels Awards ceremony has been honouring projects that actively foster Brussels’ image at home and abroad. With a total of 240.000 visitors the Smurf Experience has very chance of winning this award. Now it’s up to you ! You have until March 3rd to vote for the Smurf Experience here. Two awards for the Smurf Experience! 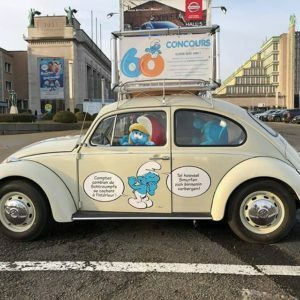 The Smurf Experience welcomed its 60,000th visitor today! Find out more on Instagram and Twitter!